U.S. retail sales unexpectedly fell in February for a third month, adding to signs that consumer spending will cool this quarter from the previous period’s hot pace, according to Commerce Department figures released March 14. • Overall sales fell 0.1% (estimated up 0.3%) after 0.1% decrease in prior month (previously down 0.3%). • December figure revised to down 0.1%. • Purchases at automobile dealers fell 0.9%, the second straight month with such a reading. • So-called retail-control group sales, which are used to calculate GDP and exclude food services, auto dealers, building materials stores and gasoline stations, rose 0.1% (estimated up 0.4%) following unchanged. • Seven of 13 major retail categories showed declines. 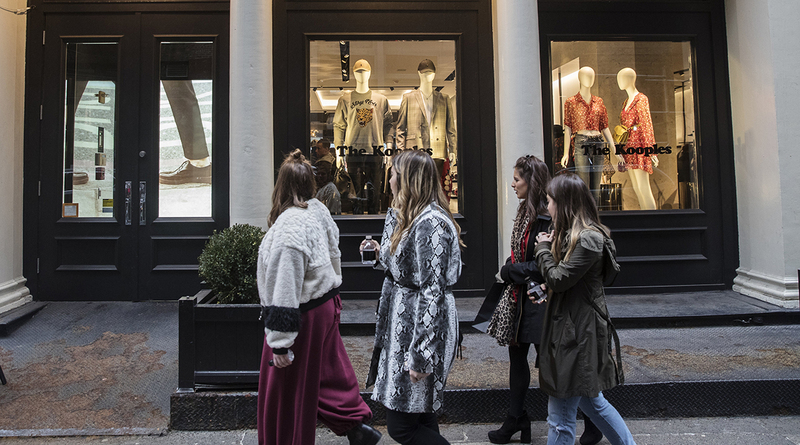 The results indicate consumer spending, the biggest part of the economy, is easing after rising at a 3.8% annualized pace in the fourth quarter, the fastest in more than a year. Shoppers may be taking a breather following a run-up in borrowing in late 2017, and relatively tepid wage growth is limiting Americans’ purchasing power. In addition to declines at auto dealers and gas stations, February’s figures reflected lower demand at furniture and home furnishing stores, electronics and appliance vendors, food and beverage sellers and health and personal care stores. General merchandise stores saw a 0.4% decline in receipts, the most since May, following a similar advance in January. On the brighter side, building-material stores reported a 1.9% sales gain in February, following a 1.7% decline. A disappointing retail sales result in February was slightly less bad in light of revisions to January, nonetheless, back-to-back-to-back sales declines reaffirm both the intransigent sluggishness of consumer spending, and hence overall economic growth, and as a result the limited capacity for consumer inflation to accelerate on a sustained basis. To be sure, the past few months provide a clear example of a period in which consumers’ attitudes and actions have materially diverged. Consumer sentiment and confidence are running at cyclical highs, but spending is foundering. Even with the latest sluggish sales figures, job-market strength, rising property values and lower taxes are buoying Americans’ sentiment and should support steady gains in spending. Consumption was probably sufficient to keep Federal Reserve policy makers on track for a widely expected interest- rate increase next week. • Excluding automobiles and gasoline, sales rose 0.3%, matching forecasts, after a 0.1% decline the previous month. • Receipts at gasoline stations fell 1.2%.